At the halfway point with two of the four stages completed in this 49th edition of La Solitaire du Figaro 2018 race, the fleet has already completed 1,100 nautical miles of the course, taking in two English Channel crossings, rounding iconic landmarks such as Wolf Rock, Brest Peninsula and Cape Finisterre. Brutal conditions for the fleet on the first night saw six retirements after the fleet received a battering of 35+ knots in the English channel only hours into the race - Nick Cherry was one of those unfortunate to sustain damage, snapping the starboard rudder hours into the leg and took the decision to pull into The Offshore Academy base in Cowes to affect a repair and change the rudder. Two French teams - Gildas Mahé 'Breizh Cola' and Fred Duthil 'Technique Voile' also pulled into The Offshore Academy’ base where Figaro spare parts and technical knowledge facilitated a quick repair to them both over the bank holiday weekend sending them off on their way to rejoin the fleet, ready for Stage two. 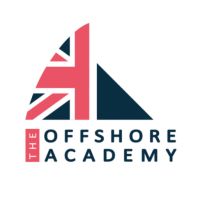 Back in the race, Hugh Brayshaw representing The Offshore Academy put his boat speed to good effect along the south coast of England, working the tidal streams on a stretch of coast which he knows well. After some windless hours drifting south of the Cornish coast, Hugh was in touch with the leading bunch, rounding Wolf Rock in 11th place. On the final miles into Saint-Brieuc Hugh managed to gain some places, finishing Stage One in seventh position (a personal best) on what was a tough leg, with conditions ranging from 0 - 40kts. Fellow Brit Alan Roberts also secured a personal best result in fifth position making it the first Solitaire stage to have two Britons inside the top 10! Stage Two was a 530-mile leg from Saint-Brieuc, heading west to Ushant before transversing the Bay of Biscay, rounding Cape Finisterre and into Ria De Muros-Noia. With all boats and sailors repaired and rested 36 Figaro skippers lined up on the start line. Initially, a slow downwind leg along the Brittany coast passing Roscoff and shallow rock-strewn coastline of the Brest peninsula. Leading the fleet initially Gildas Mahé opted to take the Westerly route in expectation a build in wind further offshore – half the fleet opted to take the offshore route chasing down Mahé, including Brayshaw and Cherry, and so a 50:50 split in the fleet unfolded. Unfortunately, this was not to pay off with the westerly group not seeing the expected increase in wind or favourable shift. The easterly group including Alan Roberts had benefited from more favourable tide and a shorter distance sailed allowing a 10-mile lead, and once established it would prove impossible to recover from. On the dock, Hugh summed up the situation “There was not much I could do from there. You could see the others to the east were sailing ten degrees lower and two knots faster. I cocked up there and after that, there were no real opportunities to get back into it." Once across the Bay of Biscay the fleet still had the infamous Cape Finisterre to contend with, synonymous for big sea states and accelerating winds the sailors prepared themselves, changing sails and trying to get some sleep, Alan Roberts was unfortunate to get ‘knocked over’ in 30kts under spinnaker close to Cape Finisterre costing him a couple of places on the approach to the finish. Yet still rewarded him with a 2nd top 10 place, 7th for Stage2, leaving him 7th Overall and 49mins behind race leader Seb Simon BRETAGNE CMB PERFORMANCE. Hugh and Nick lead the ‘westerly’ group into the sheltered bay of Ria de Muros Noia to finish in 21st and 22nd position, Nick leading Hugh by 12 minutes on the water.